…or how to put a photo of yourself next to a definition of “brilliant melodic rock music”. Kee of Hearts represents the collaboration between vocalist Tommy Heart (Fair Warning) and guitarist Kee Marcello (Europe). Those two superstars got together last year and made some serious magic in that studio which later on materialized into an elegant self-titled debut album of a lifetime you simply can’t get enough of. As a die-hard fan of Fair Warning and someone who reaches for their music in times of pain and trouble, you can only imagine how thrilled I was to learn that Tommy Heart is doing a new project. This meant one thing – I was about to very soon meet my new favorite melodic rock album. “Kee of Hearts” was out on September 15, 2017 via Frontiers Records. Thankfully, the album was immediately available on Spotify so I cranked it up right from the early morning to the late of dawn. I couldn’t stop smiling, song after song. I became a glowing ball of energy only because of this album and I still am by the way! Let’s talk music! “The Storm” is the opening track and the title pretty much sums it up all! A powerful blazing melodic rock impact right from the very beginning, signalling the arrival of something truly valuable. I am enchanted by the lyrics, though this phenomenon could be observed throughout the entire album. “A New Dimension” is another promising song with a “wow” aftereffect further proving why Tommy Heart is one of the best melodic rock vocalists out there. What follows is as good as the rest. 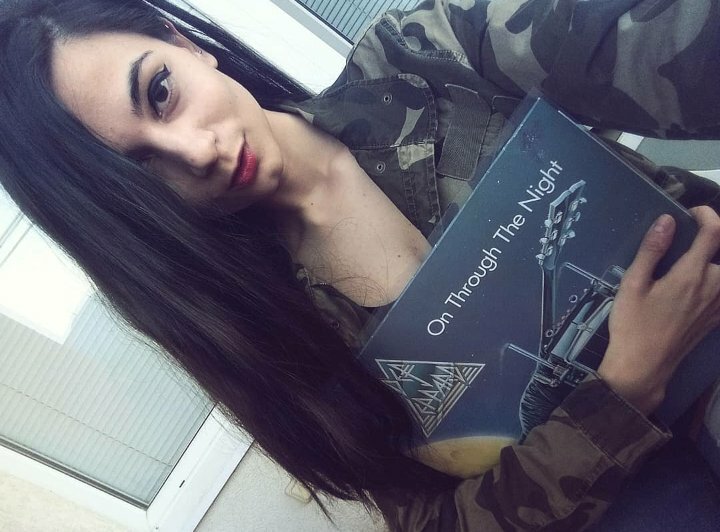 Classic AOR songs like“Bridge To Heaven” and “Stranded” offer a bouquet of wonderful hooks, impeccable vocal arrangements, groovy guitars and pleasing keyboard touches. The honest “Mama Don’t Cry” and the quite relevant (these days especially) “S.O.S.” are two of the stand-outs for certain. “Edge of Paradise” is a personal favorite; the only justice that can be done to this song is if it’s played live in a huge arena in front of thousands of people. I keep imagining this… The classy “Twist of Fate” is a close second favorite – you just can’t take those catchy refrains out of your head…but then again, why should you? The track is the ultimate sing-along joyride. Final verdict: “Kee of Hearts” is a melodic rock bliss from start to finish. This album represents just the kind of class and nobility we so desperately need on the rock music scene these days. Tommy Heart and Kee Marcello crafted a fine release that rocks, entertains and keeps our spirits lifted from start to finish. It’s a must-have for every AOR fan out there who knows what is true and what is not…I pray those two come up with a follow-up!